Semi Plug and Play Remote Start System for 2016 -2017 TOYOTA TACOMA H key. (Key must have the letter H engraved on the blade). Remote start system includes an assembled and configured EVO-ONE remote start module with intergrated bypass module. Remote start and bypass module are configured and programmed before shipping. All option programming and flash programming are completed. all wires are terminated with connectors and labeled for installation ease. All kits contain all parts required to successfully complete the installation. Kit is designed for Do It Yourself Installation. Remote start can be triggered by locking the doors with the OEM remote 3 times. Remote start kit is assembled and can be paired with a custom configured ignition plug to allow direct plug in connection to the vehicles ignition. There are 6-8 standard connections that must be made in addition to plugging in the main ignition plug. The system can be purchased in 4 variations: SEE COMPLETE DESCRIPTION BELOW. Semi Plug and Play Remote Start System for 2016-2017 TOYOTA TACOMA H key. (Key must have the letter H engraved on the blade). 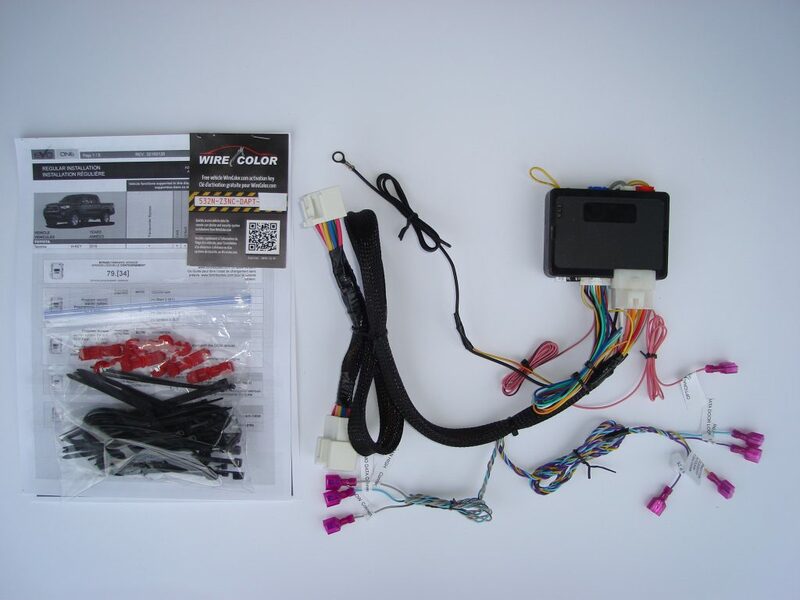 Kit includes an assembled and configured EVO-ONE remote start module with integrated bypass module. All connectors, zip ties and instruction sheet are included. No additional parts or supplies are needed. Remote start can be triggered by locking the doors with the OEM remote 3 times. 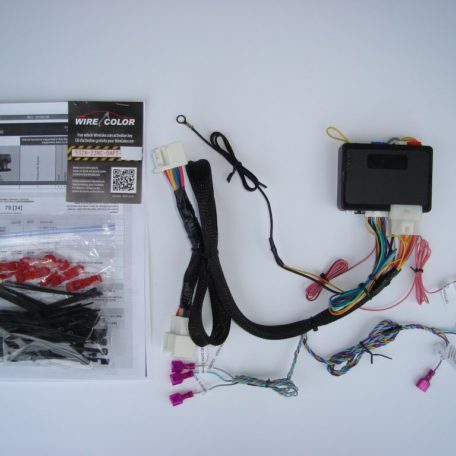 Remote start kit is assembled and offered with or without a custom configured ignition plug to allow direct plug in connection to the vehicles ignition. There are 6-8 standard connections that must be made in addition to plugging in the main ignition plug. (Please note) If the system is ordered without the custom configured ignition plug 5 connections will be required at the ignition harness. Stand alone (NO T-HARNESS) All wires are terminated with connectors and labeled. No Remotes included, activates from 3x lock with OEM Remote. Keyless remains functional during remote start allowing keyless access to vehicle while engine is running. System is paired with 2 RF642w 2-way remotes. (NO T-HARNESS) All wires are terminated with connectors and labeled. The RF642w long range 2-way remotes have up to 3500ft of range. The 2-way remote confirms commands sent to the remote start system with led lights built into the remote that provide feedback that verify commands are received by the vehicle. Stand alone (T-HARNESS INCLUDED). All wires are terminated with connectors and labeled. No remotes included, activates from 3x lock with OEM Remote. Keyless remains functional during remote start allowing keyless access to vehicle while engine is running. System is paired with 2 RF642w 2-way remotes. (T-HARNESS INCLUDED) All wires are terminated with connectors and labeled. The RF642w long range 2-way remotes have up to 3500ft of range. The 2-way remote confirms commands sent to the remote start system with led lights built into the remote that provide feedback that verify commands are received by the vehicle. Follow our video on channel WarmCarNow. Our video details the installation and programming of this Semi Plug and Play remote start system. Great kit, installed quick and easy, works perfectly. Awesome instructions and customer service.